As if the already in production “hack” was not already helping DSLR users, the team at Magic Lantern has released what they are calling their “professional” upgrade. I can say that I’ve been using it myself and I love it and I can also say that I’ve probably not used all the features and functionality that it can offer to its fullest but I’m doing more with it than most. A partner of mine especially loves the intervalometer feature so much he returned his amazon purchased intervalometer and got himself something else for the money. I love the feature of being able to listen to audio now, but I still prefer to have a independent audio recorded on a H4n or the likes whenever possible. Also, with all the work they’ve done for us DSLR users, please please donate to their cause! It take a lot of time and effort and love for what they do to make our lives easier with the aid of their software. I know I did! For me, the aid of the sweet ISOs spots has been very useful, the intervalometer, which I’ve used for the time lapses and last but not least the histograms and ability to see the audio levels. A true labor of love is what I would call all their efforts and it continues to get better. You mus check out their new site as well! So all you Canon users if you don’t know about Magic Lantern, here is your chance, somethings may excite you to try it and some things you may be like “eh, does nothing for me”. In either case you know the option is there and you can choose your tools of mass film destruction! Ok, so I know this is not a new topic and there are many resources online especially YouTube and Vimeo that go into depth on these subjects. Why might you ask, am I going into it as well? Well I’ve been out a few places and have heard people refer to color grading and color correcting as the same thing. NO it is NOT, NO I SAY AGAIN IT IS NOT! To put it in layman’s terms if I may, Color Correction is the process by which you fix any white balancing issues that may or may not be there. Increasing the contrast maybe, adjust highlights and even saturation. In most cases, a simple COLOR CORRECTION can help an alright piece of footage look GREAT! Now I’ve just scratched the surface on this portion because I want all of you to go out and check out for yourself what I’m talking about it. Ok so now on to Color Grading. Color Grading is done after the primary color correction is completed and can be part of the color correcting process. Color Grading sets the overal style of your movie. SinCity had a highly stylized grading that most people remember. It actually helps to tell the story. Transformers, Star Trek, Avatar and Lord of The Rings are all examples of movies that used a color grading scenario to convey a feeling or aid in the telling of these stories! If you are still confused and you say Michael “What the heck” are you blabbering about. Here are some examples from our friends at Film Riot and oh if you didn’t know Emily is BACK! I love Emily…if you don’t know who Emily is the make sure you watch the clips below! A little back story on some color correcting tools. In most NLEs (Non Linear Editors) Final Cut, Premiere, Sony Vegas, AVID and the likes, come with a form of color correction, usually a 3 way color wheel of some sort. Final Cut Studio 3 had the wonderful Color application that to me at first was a little intimidating with its bland opening screen and scary interface. Then Red Giant came on the scene with Colorista which was so powerful everyone was talking about it. Then they also came up with Magic Bullet Looks which had a stable of preset looks that you can apply to your project and then tweak if you wanted something more. For the most part all of these tools can be used. It’s up to you to choose your weapon! Now if you are one of those that don’t have the time or the patience to learn yet another thing pertaining to this business, then there are lots of Colorists out there that specialize in this field. Had the pleasure of meeting a few at the last Atlanta Cutter’s event. Remember, this is a learn as you go industry. Even right out of school, different directors and producers go about things differently. Be adaptable to all circumstances if you are able. Learn as much as you can and when the time is right, ask questions, please not during a take…you’ll be asked to leave the set! I’ll be talking more about this subject later as it is important! UPYRI – The Blood Will Change You! I’ve just finished work on a pilot by a wonderful Writer/Director named Lonnie Jackson called “UPYRI” (pronounced You PIE Ree) it’s Slovak for Vampire. The premise is, what if a vampire had the blood of Jesus, would it change him and how? I can’t go too deep but what I was a part of, was amazing. From the talent to the team. It epitomized all that I’ve been reading and writing about. It does still take a family to raise a child and in this case, the child is this wonderfully inspired idea from the mind of Lonnie Jackson. Mr. Jackson started out with a group prayer, which he requires to keep what he calls the “Good Vibes” going and of course to have every one on the same accord and to dismiss any mishaps that may occur. Producer and 1st AD Danielle King lead the crew and cast at a steady pace. Nina Patterson PA/Script Supervisor assisted with some set design and was upbeat. Still photographer and 2nd Camera Cymande Coburn was on deck helping out in any capacity that was needed and had great energy along with Facility coordinator, sound, grip, electrician DreQuan MeDallion who also assisted in every way possible, Writer and wardrobe Geveryl Robinson, Hair and Makeup Iasia Anderson and yours truly as DP/Gaffer. Cast members Cameron Miller, Darren Radcliff and Barry Piacente rounded out the team. Their professionalism and performance made the day. Even with some conditions being not so pleasant, the spirit of the entire cast and crew was undaunted and we moved forward eagerly to reach our goal. It was refreshing to see things move smoothly on set and with convicted direction! There is no “I” in “TEAM” and this team proved that statement. Although this particular footage was not the footage shot, I look forward with painted breath to the final results. Ok so in a previous post I spoke about the Black Magic Design Cinema Camera. Well on Wednesday the 25th, the Atlanta Cutters had an event which featured some of Black Magic Design’s goodies. I won’t go into too much details about the camera but you can read more details here. Bob Caniglia, the Senior Regional Manager, said that the camera at the event was the ONLY one in the US at this point. Still in prototype stage. There hoping for a ship time in the near future but the date is not confirmed. At first glance the camera looked great, it was not beefed up with any super accessories as most cameras are. It had a canon lens, I believe it was a 24-105. Bob said that some menu items were not accessible at that time. The aluminum body felt sturdy. As I peered thru LCD, the image looked like the Technicolor Cinestyle Picture Style for the DSLRs, which means some awesome depth in post. We all know where to find the specs on this camera so I won’t go into that here. Now it’s been said that some times confidence is what sells an item, not just the specs or the bells and whistles. I heard many participants of the event say that they were not convinced, there were too many “I don’t knows” and “We’ll have to see once it’s released”. 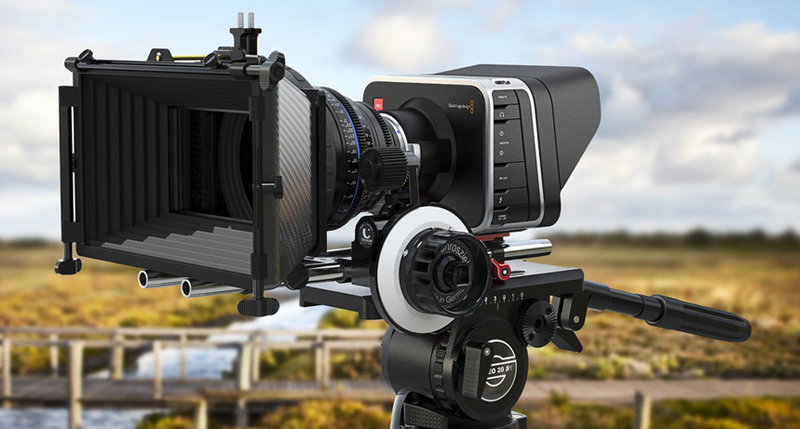 Now with this open ended platform, they can possibly increase from 2.5k to higher with a firmware upgrade making this camera like the Red, a future proof unit in terms of increased functionality and new menu capabilities. It was said that the limitation was due only to the media’s capacity or through put. Another issue is the internal battery system. The next model will probably have a way to remove the batteries, because in most cases you may not be around a power source the whole and time you are then restricted by it’s use if you run out of batter life and you are not near a power source. The currently in place procedure for replacement of the 2 year life battery is to send the unit in and they would replace it. As a new comer in the film camera arena, it has lots of support due to it’s expected features and capabilities and of course PRICE POINT! I mean we’ve already spent $3k on the Canon 5D MkII and more for the 5D MkIII, so why not break the 1080p barrier and go into the realm of 2k. With all that said, it’s really up to you the filmmakers to choose your weapons of mass destruction!